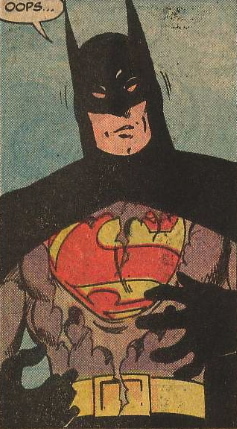 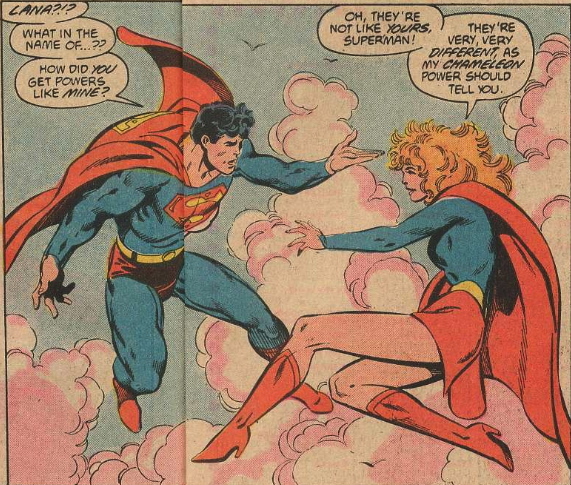 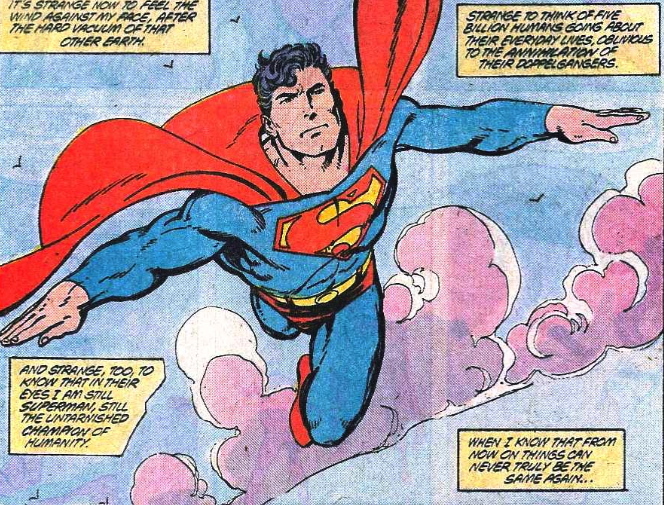 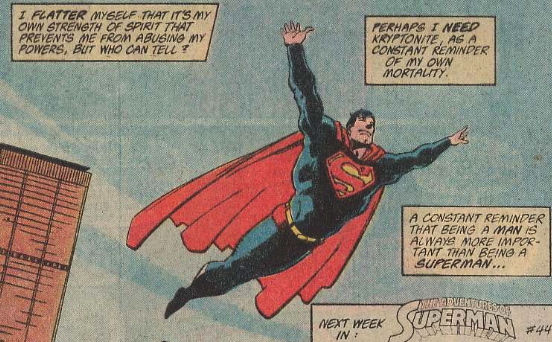 The very last John Byrne panel of his Superman reboot. 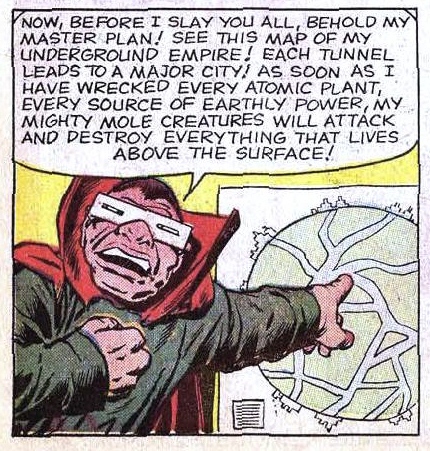 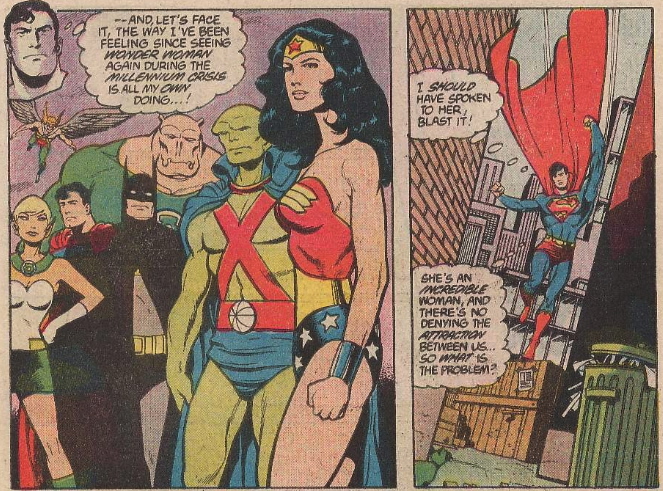 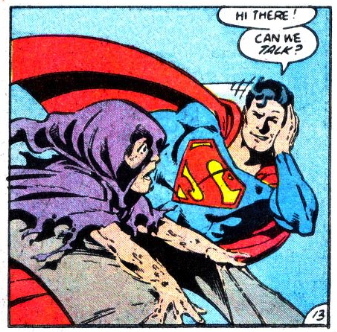 Superman comes to terms with his need for a weakness…This element of his character DC seems to have completely dropped. 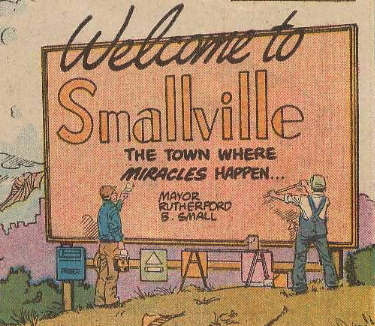 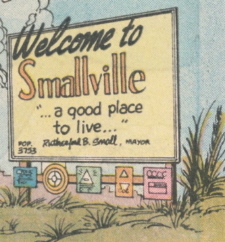 Occasionally, Superman has a sense of humor. 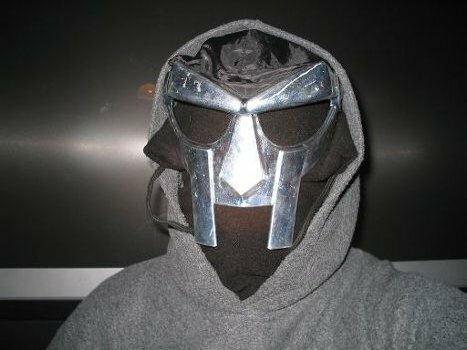 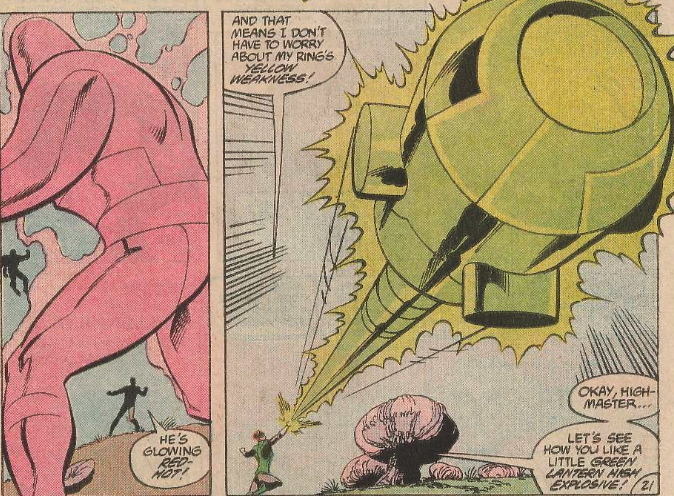 A creative way to get around GL’s stupid weakness.